1988: Nippon Maru at Sydney, Australia. 1988: Nippon Maru passing the Sydney Opera House. 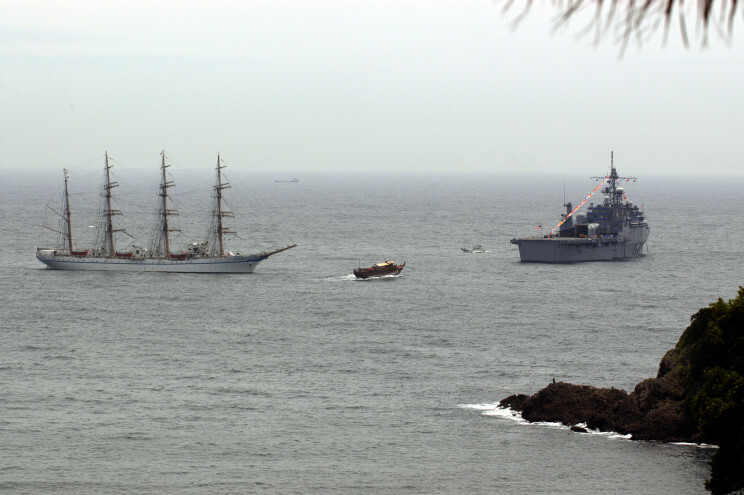 May 14, 2004: Nippon Maru and the USS Coronado AGF-11 at Shimoda Bay, Japan. 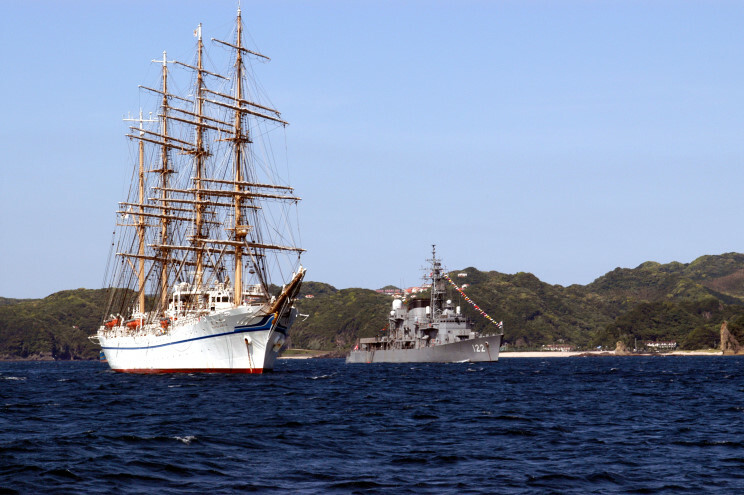 May 15, 2004: Nippon Maru and the Hatsuyuki DD-122 at Shimoda Bay, Japan.